This document and its concept is fully supported by the staff of Pilotfriend. We believe that a code of conduct has been rather long in coming and this proposal is an excellent start. Becoming a pilot is a truly exhilarating and rewarding endeavour. As a newcomer to general aviation (GA) you will be exposed to many new and exciting precepts. It is our desire to share with you some of the values associated with being an exemplary GA pilot as illustrated in this Student Pilot’s Model Code of Conduct (Code of Conduct). As you pursue the goal of learning to fly, careful attention to understanding safety and excellence greatly enhances the quality of your current and future training (and may even accelerate it). It also helps you to cultivate a philosophy or attitude toward flying that will serve you and society well throughout your flying career. It presents a vision of excellence for student pilots (whether they are seeking a Sport Pilot, Recreational Pilot, or Private Pilot certificate) with principles that both complement and supplement what is merely legal. The Code of Conduct is not a “standard” and is not intended to be implemented as such. Some of the provisions of the Code of Conduct have been simplified to accommodate the novice; after gaining more knowledge and experience, student pilots should refer to the Aviators’ Model Code of Conduct in the flight safety section. The Code of Conduct consists of the following seven sections (each containing principles and sample recommended practices). To further the effective use of the Code of Conduct’s principles, Sample Recommended Practices offer examples of ways student pilots might integrate the principles into their own training. The Sample Recommended Practices (which include selected personal minimums) can help student pilots and their instructors develop practices uniquely suited to their own activities and situations. Unlike the Code of Conduct principles themselves, the Sample Recommended Practices may be modified to satisfy the unique capabilities and requirements of each student pilot, mission, aircraft, and training program. Some Sample Recommended Practices do in fact exceed the stringency of their associated Code of Conduct principles. They are not presented in any particular order. bridging the gap between student and certificated pilots, with the goal of advancing a common aviation culture. Explanation: Code of Conduct Section I serves as a preamble to and umbrella for the Code of Conduct’s other principles. It emphasizes safety, excellence, risk management, responsibility, and lays the foundation for accountability and heightened diligence. Approach flying with the utmost seriousness and diligence, recognizing that your life and the lives of others depend on you. Recognize, accept, and plan for the costs of implementing proper safety practices (often greater than expected). Learn to identify prevailing conditions and adapt to changing in-flight conditions as directed by your certificated flight instructor. Recognize the increased risks associated with flying in inclement weather, at night, over water, and over rugged, mountainous or forested terrain. Take steps to manage those risks effectively and prudently without exceeding personal parameters (see Code of Conduct I.e.). Develop, use, periodically review, and refine personal checklists and personal minimums for all phases of flight operations. Seek the input and approval of these materials by your certificated flight instructor. If the weather doesn't look good, it probably isn’t – don’t push it. Learn the performance limitations of all aircraft you fly, and how to plan flights and determine fuel requirements. Understand and use appropriate procedures in the event radio communications are lost. Be familiar with The Federal Aviation Regulations (FAR). They represent the distilled wisdom of more than 80 years of flying experience. Commit to making personal wellness a precondition of flying. See and be seen. Learn and employ techniques for seeing other aircraft, such as scanning, and techniques to enhance your own visibility to avoid other aircraft, such as the use of radio, lights, and strobes. For cross-country operations, identify alternate landing sites and available fuel along the planned route prior to departure in case deteriorating weather or other emergency circumstances make continued flight unsafe. Exercise great caution when manoeuvring at low altitudes. Develop a firm understanding of effective decision-making. Adhere to applicable flying club/school and Fixed Base Operator/flight centre rules and operating practices. Learn the fundamentals well before proceeding to more advanced techniques and manoeuvres. pre-brief every flight with your flight instructor on planned flight procedures and be informed of any significant or unusual risks associated with the flight. Explanation: When soloing, you are responsible for your personal safety and the safety of people on the ground and in other aircraft. Although student pilots do not carry passengers, your training should prepare you to take on the additional responsibilities of doing so once you achieve your pilot certificate. Learn how to keep your future passengers as safe as possible – as though they were your closest loved ones. Learn how to provide informative passenger briefings. Learn how to use passengers as safety resources – for example, by having them identify nearby aircraft, organize charts, and keep track of landmarks. Become familiar with, and if feasible, consider obtaining additional insurance coverage. require professionalism from your flight instructor. Explanation: Your training and proficiency underlie aviation safety. Such training includes both air and ground training. Each contributes significantly to flight safety and neither can substitute for the other. Training sufficient to promote flight safety may well exceed what is required by law—all to the student pilot’s benefit. Pursue a rigorous, life-long course of aviation study. Commit to achieve and maintain proficiency in flight safety as well as to learn the efficient and functional operation of aviation equipment. Understand and comply with the privileges and limitations of your student pilot certificate. Attend aviation training programs offered by industry organizations or your civil aviation authority. To optimize your flight training experience seek to train at least once every week consistently. Avoid practicing training manoeuvres near highly populated areas. Develop a practical understanding of the mechanics and systems of each aircraft you fly. Communication is the key to all good relationships—communicate with your flight instructor (and other flight school personnel) on a continuous basis. If your training needs are not being satisfied, discuss them with your flight instructor and consider changing flight instructors. Register with your civil aviation authority for safety meeting announcements and safety literature. Explanation: This Section addresses preventing criminal acts and promoting national security. The events of 9/11 have had a profound impact on aviation in some countries and have created demands for responsive action. Enhanced security awareness by aviators in some countries is a stark new reality for the GA community. Accordingly, this section responds proactively to various new threats and vulnerabilities. Check thoroughly for temporary flight restrictions before every flight and in-flight during long flights. Confirm that ramp access gates are closed securely behind you to prevent “tailgating” by unauthorized persons. Become familiar with any airport watch organisation and other means to report and deter suspicious activities. Use a Gasoline Analysis Test Separator jar for all fuel sampling and return fuel samples to the fuel tanks or dispose of them properly. Conform to recommended practices when flying/training near wilderness and environmentally sensitive areas. Consider the impact of aircraft on wildlife and people on the surface. use transponders and become familiar with and use ATC “flight following” services. Explanation: Innovative, compact, inexpensive technologies have greatly expanded the capabilities of GA aircraft. This Section encourages student pilots to learn about and use such safety-enhancing technologies. When practicable, learn new technologies that advance flight safety, and train to use them properly. Learn and understand the features and limitations of such technologies. promote ethical behaviour within the GA community. Explanation: General aviation has a well-recognized (and undeserved) public relations problem that is, in many respects, worsening. Vigilance and responsive action by the GA community are essential to ensure GA vitality and to enhance the GA experience for both student pilots and others. personnel for their assistance and good service. Participate in aviation-related fund-raising events. Seek feedback from experienced pilots to enhance your training. Adhere to the highest ethical principles in all aviation dealings, including business practices. 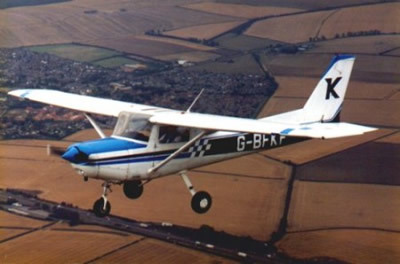 Aviators and the aviation training community may use the Student Pilots’ Model Code of Conduct as a resource for code of conduct development, although it is recommended that this be supported by independent research on the suitability of its principles for specific or local applications and situations. It is not intended to provide legal advice and must not be relied upon as such. The Code of Conduct is a living document, intended to be updated periodically to reflect changes in aviation practices and the aviation environment. Please send your suggestions, edits, errata, questions, and comments to the Permanent Editorial Board at PEB@secureav.com. http://www.secureav.com. The Permanent Editorial Board for the Code of Conduct is presented at http://www.secureav.com/PEB.pdf.